The winter can be a dull and drab season and you might be feeling it's effects in your home. Maybe it's time for a makeover! A quick and easy way to makeover your home this winter is to switch to GE Reveal lightbulbs! GE Reveal Lightbulbs add a clean light that make the colors in any room pop! GE Reveal Bulbs provide a clean full spectrum light that filters out the dull yellows that standard incandescent light bulbs create. You can makeover any room with GE reveal’s Innovative Clean, Beautiful Light™. Currently, GE Reveal LED Bulbs are sold almost exclusively at Target. Make sure to print this $2 off any package of reveal® light bulbs COUPON now! You can save even more when you use Target's Cartwheel App! Pair your coupon with the Target Cartwheel savings through February 1st for an even bigger discount! With the Cartwheel App, you can browse ahead of time for savings opportunities at Target. Scan the barcode of any produce to see if there is a Cartwheel savings! You can download the Target Cartwheel App on your iOS or Android devices. Watch this fun video about how GE Lighting can create a quick and easy makeover! We have a great opportunity for you to win this makeover experience. 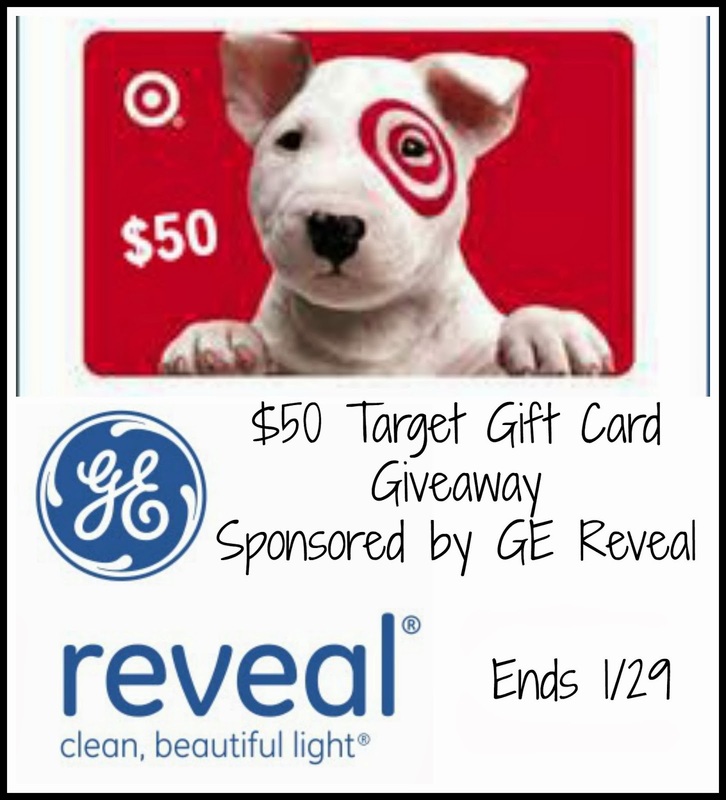 You can enter to win a $50 Target giftcard + GE reveal® light bulbs + a free download of the Herbert Bail Orchestra EP (first track featured in GE Lighting video). This giveaway is open to US Residents, 18+, one entry per household. Giveaway will end 1/29 at 11:59pm EST. To enter, follow the steps in the rafflecopter below.